Hey my laptop didnt come with a free apple. dammit walmart. 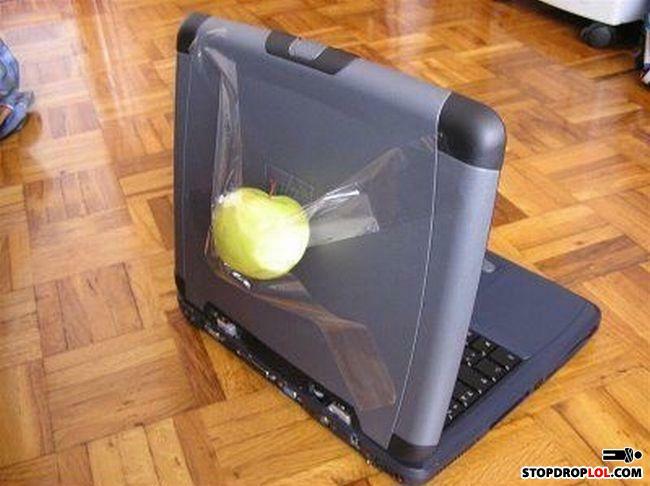 Gerald knew that if he disguised his laptop as an Apple, NOBODY would want to steal it. You should see mac os x leopard! PC? No, it's obviously a Mac! See? Apple has finally went ghetto. What happens when it goes rotten? What's the difference between a women's running team and a band of pygmies?